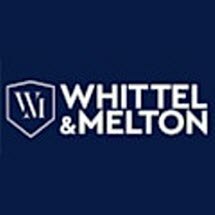 Whittel & Melton, LLC, is a Central Florida law firm that focuses on personal injury, wrongful death and criminal defense cases. We serve clients in Ocala and throughout the state of Florida. Protecting your rights is about helping you make intelligent decisions. Our lawyers will take the time to give you the information you need to understand both the short-term and long-term implications of the choices ahead of you. For example, pleading guilty to an assault charge may seem like the fastest and least-expensive way to put the issue behind you. Unfortunately, pleading guilty to any criminal charge will result in a permanent criminal history that will affect you for the rest of your life. In a personal injury case such as an auto, truck or motorcycle accident, accepting an insurance company's offer before you talk to a lawyer could leave you with far less money than you need if your injuries turn out to be more serious than you first thought. In any legal issue, there are often negotiated and litigated solutions. In many cases, a negotiated solution is less expensive and gives you more control over the outcome of your case. However, when the other side is unreasonable, you may need to go to court to protect your rights. We are experienced trial lawyers who can take your case as far as it needs to go to obtain a favorable outcome. We are dedicated to providing personal service. We actually return phone calls and work hard to meet and exceed your expectations. Many of our clients are people we have served in the past or who have been referred to us from past clients. Call 352-293-2968 to schedule a consultation. We offer evening and weekend appointments. Phones are answered 24 hours a day. We offer nine office locations in Florida, including Ocala. Se habla español.